Mystic Warlords of Ka'a comes to life! I didn't see these at all while at Comic Con, but that's easy to understand: it's a big place. Ultra big. Like, there was a full size recreation of the town of South Park across the street, and we didn't even notice it for the first two days. 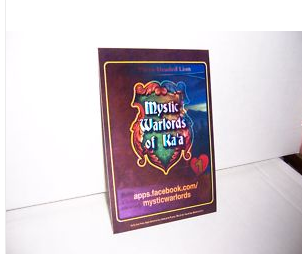 Anyways, these cards started showing up on Ebay and, after noticing the address on one and dialing in, I discovered there's a real live version of the collectible card game "Mystic Warriors of Ka'a" up on facebook! 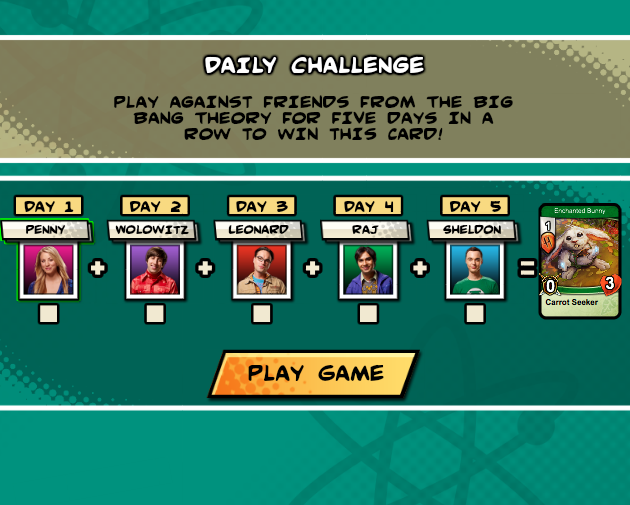 While it seems to be a little buggy, it's kind of fun, as the characters from the show appear to teach you the rules and then, play against you. I'm still checking it out myself, but go try it out and have fun! Link here. Just a quick update here - last season, Stan "The Man" Lee made an appearance as himself on The Big Bang Theory. But did he enjoy it? 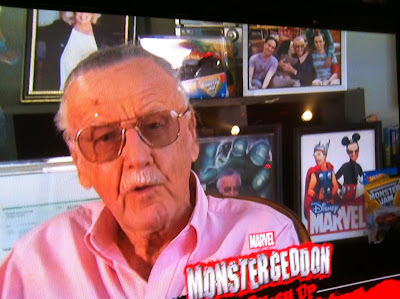 This image shot off a monitor at SDCC proves that indeed he did. Confirming what my good friend Josh Shipley from The Josh and Croz Show told me after he was lucky enough to interview the Man himself, "The Man" has a photo of himself on the set of BBT right by his desk in his Beverly Hills office. 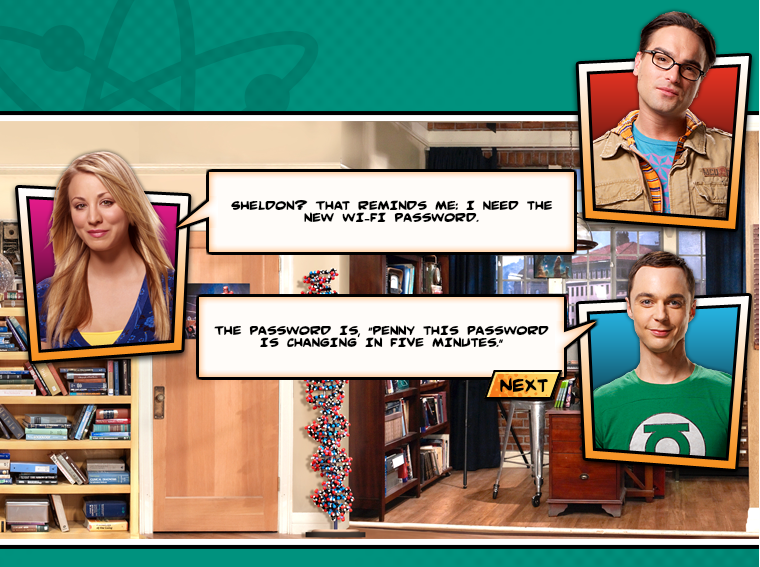 (Upper right). And just in case you can't make it out, he's in the living room with the whole cast, and it looks like Kaley is giving him a smooch! Who said comic book guys don't get girls?